The most popular sport in the world is football, it is played in almost every country and is viewed by over two hundred and fifty million people. Billions of fans from every part of the globe watch football every week. Despite the popularity of football, tickets to many of the top games are difficult to obtain and many fans find it hard to buy football tickets for their favourite teams. This is where we come in to help! 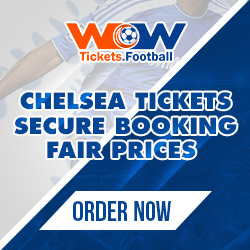 Here at WoWtickets, we believe football is not just a game, in a nutshell it encapsulates the excitement in life itself: consistency, peer support, team spirit, hard work, strategy, talent and inspiration gather together to a spectacular football event. Being a part of the spirit in the stadium while your favourite team is playing and fans all around you are chanting ecstatically, is an elevating experience. WoWtickets was founded with the aim to provide fans and travel professionals from all around the world a safe and reliable access to high-demand sports and football events in fare prices and with friendly customer service.